Johan Ekman – Exclusive mix for bejbi.se. The 50th of our series of exclusive mixes..
Click ”see the rest of this entry” to read more about Johan Ekman and to download the mix. Johan Ekman was born 13th January 1987 in a town called Örebro, Sweden. Since he was a child he has felt that music is his one true passion, and at the age of 12 he decided to start produce music by himself. He started to play a little with Reason and Cubase, but got hooked with Fruityloops, and that’s what he also uses today. With FL he felt more secure, got more experience and learned more about production and mixing. Ekman did some DJ gigs in his hometown, some school discos and private parties, but after a while he felt that he should focus only at producing and build up his name as producer. The hard work paid off, and today Johan has/had several releases on some big labels as Discover and Future Sound Of Egypt. In 2008 Johan Ekman released ”Timeless”, being charted 2 weeks on top 10, hit the number 1 spot for a week, it is said that it was one of the biggest tunes of the year. Ekman has gained huge support from Djs and producers, as Aly & Fila, John Askew, Eddie Halliwell, Daniel Kandi and W & W.
This year Johan is not only producing he is also back on the scene with fresh new songs and energy. 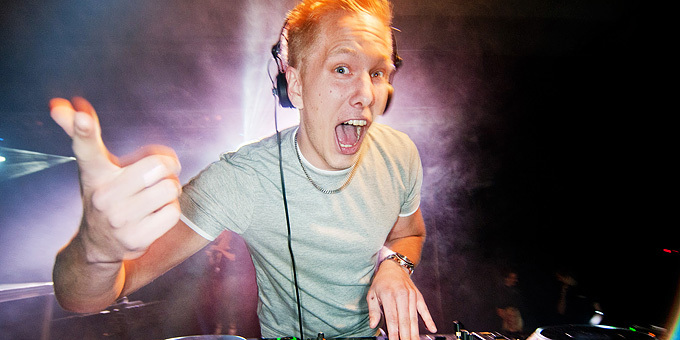 Launching his radioshow ”Decibel” has made people open up their eyes for this talented up & coming Dj and producer. Now he is the 50th out for a series of exclusive mixes recorded for bejbi.se by our favorite dj´s, both well known, and unknown, that we will publish once a week untill we run dry. Download Johan Ekman’s Exclusive mix here (right click and save as) or listen to it live on Soundcloud or just press play below here. If you want to hear more of Johan Ekman, check out his myspace.